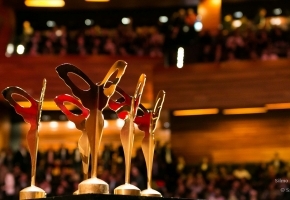 A true innovation prize, the silmo d'Or rewards the creativity and the creative spirit of a whole profession. But more importantly, it underlines the interest of professionals, producers and opticians to create a unique quality label in the sector. Discover the 2016 winners ! All the exhibitors of the SILMO can compete to this prize and present a product. The nominated and prize-winners products will be exhibited on the Silmo. After a selection of application files by various specialized juries, a Grand Jury consisted by a President, 8 members (experts in every category, big international buyers, journalists) and the Silmo President will have the mission to elect the prize-winners among the nominated of every category.